It’s not uncommon to be offered a "consultation" or "consult" when searching for professional services. Doctors, lawyers, financial advisors, business consultants, and numerous other professionals will offer customers or prospective customers the chance to meet with them for a consultation. What is a consultation or "consult"? What does it mean to receive or offer a consultation? What is the purpose of doing a consultation in the first place? Why are some consultations free while others cost thousands of dollars? What questions should you ask when attending a consultation? What should you focus on when offering a consultation? In this post, we’ll break down everything you need to know about consultations and explain the definition, meaning, and purpose of a consult. 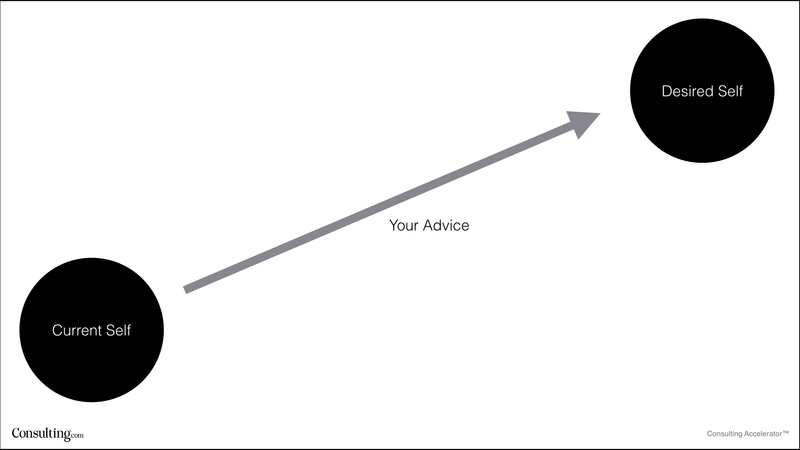 A consultation is "a meeting with an expert or professional in order to seek advice." The meaning is fairly self-apparent. The word "consultation" is derived from the word "consult" or "to consult". This root word is also the source of the word "consulting". In other words, a consultation is essentially a consulting session. When you want to receive advice from a professional or expert of any sort, the meeting you schedule with them is a consultation. Or from the other side, when you want to offer your advice to either a customer or a potential customer, the meeting you book with them is a consultation. So what is the purpose of a consultation? Like consulting, the purpose of a consultation is to help the customer or client solve a problem. They want to change something, achieve something, attain something, or become something, and they need help. The current state of things isn’t how they want it to be. They know what their desired state is, but they need an expert’s advice or help in getting there. Pretty much everyone wants to improve some aspect of their lives, and whether they know exactly what they want to improve or simply know they have a problem, they will often turn to experts for help. The purpose of a consultation is to hear out the person’s needs and help identify a plan of attack for solving their problems and accomplishing their goals. Whether or not the client has to pay for this strategy session depends entirely on the consultant’s business model and the nature of the problem being solved. For some business models, the consultation itself is the service. When you meet with a financial advisor, business consultant, or doctor, for example, the discussion you have with them and the advice you receive can make up a significant portion of the value you receive. In cases like these, you will usually have to pay directly for the consultation. The consultation may or may not solve your problem by itself, but due to the value of the advice you receive, you will pay for it directly. In other business models, the consultation is offered for free with the hopes of selling the client on a service to be delivered in the future. This is extremely common for lawyers, marketing agencies, orthodontists and a wide variety of professionals who offer high priced, ongoing services. The more lucrative the services you sell, the more worthwhile it is for you to meet freely with potential clients in the hopes of selling them on those services. Since free consultations provide a great opportunity to demonstrate your expertise and value as a consultant, it is part of the lead generation method we teach our consulting students here at Consulting.com. Attending a consultation as a client is all about preparation. The better your questions are going into a consultation, the better your takeaways will be. You will only have a short window of time to pull as much value from your consultant as possible. Whether you are paying for this privilege or getting it for free, preparation can be the difference between getting all your questions answered and coming away empty handed. Before you attend your consultation, list your goals for the meeting. What do you hope to achieve due to this consultation? What key info do you need to obtain during this consultation to make that happen? Once you’ve identified the key information you need to acquire from your consultant, expert, or professional, identify the exact questions you need to ask in order to get that info and write those questions down on your phone or a sheet of paper. 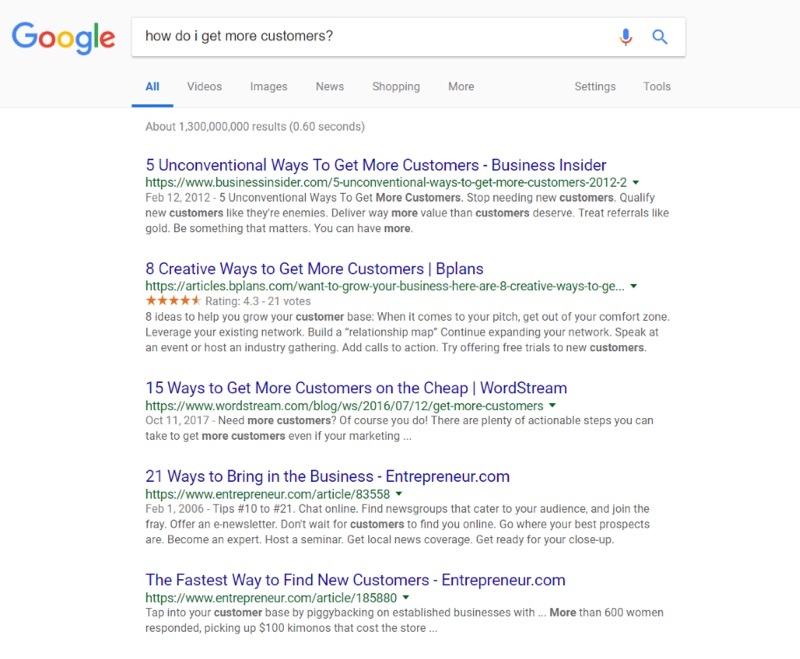 Now here’s the 2.0 step very few people will ever do: Google every single one of your questions and read through some of the results that pop up on the first page. Why bother with Google if you are planning on meeting with an expert? For starters, if a question can be easily answered through a Google search, asking it in a consultation will be a complete waste of time for both you and the expert you are meeting with. Consultations are ideal for educated questions that require expert input. Arriving at your consult without at least a base understanding of the topics you which to discuss will prevent you from getting the info you need. Now, let’s say a question is too complex to be easily answered through a Google search. That’s good too. By viewing the content you find via the search, you will learn a bit more about the question you are asking and probably identify some valuable follow up questions as well. Remember, the better your questions are going into a consultation, the better your takeaways will be. Once you’ve arrived at your consultation, fantastic questions in hand, let your consultant steer the conversation initially. Good consultants will know how to identify your key questions even if you didn’t come prepared, and they will usually direct the consultation without you needing to do anything. If, however, your key questions aren’t starting to pop up within the first 15 minutes, it’s your turn to start directing the conversation. Redirect the discussion by bringing up your questions and going through them one by one. Make sure you get every key piece of info you need before the end of the consultation. You might be reading this as a consultant, expert, or other professional and wondering how you can run an effective consultation like the "good consultants" we just mentioned. A good consultation is all about the right questions being asked and answered. As the professional in the room, it’s your job to make sure that this happens, even if your client is unprepared. This can be done by asking good, probing questions and then sitting back and listening. Think through the information you will need in order to effectively help your client and then write down the questions you will need to ask in order to coax out that info. 2. Spend a lot of time listening. Once you’ve asked these questions, it’s your job to listen well and ask brief follow-up questions where needed. Listening is a big part of being a successful consultant. You can’t help the client until you understand their situation, and the more they talk, the more likely that information is to come out. But there’s also another factor at play. People generally like to talk about themselves and their issues. It’s something of a psychological quirk. By letting your client talk more, they will feel more positive about the consultation and more likely to work with you in the future. Listening also sets up the next important part of running a consultation. A consultation is not a sales pitch. It’s not an excuse for you to tell the client how great you are. It’s not a trick where they are going to automatically purchase your services simply because you got them into the office. A consultation is an opportunity for you to tangibly demonstrate your ability to help your client by... wait for it... actually helping them. Even if you offer your consultations for free, you should be delivering so much value during them that the client thinks, "Wow, I can’t believe that was free," by the end. A client should never have to guess about how knowledgeable you are or whether or not you can help them by the end of the consultation. They should feel confident and excited that they found you. 4. Paint a picture of the future. Demonstrating value establishes confidence in the client that you are capable of helping them, but we need to push that one step further into a concrete vision for the future. By listening to exactly what they are struggling with and the WAY they are struggling with it, you can propose a solution to them that is delivered in their own language and resonates with their own personal hopes for the future. For example, let’s say you have a business consulting client talking with you about how variable her revenue is and how she loses sleep wondering what’s going to happen the next month. You would then want to present your solution using language that addresses that specific lens. "I’m going to help you put together a lead generation system that predictably brings in 20-30 leads, month after month, guaranteed. You won’t have to guess anymore. You won’t have to worry about where new customers are going to come from. You will have the data right in front of you. I’ve done this exact process with 15 other businesses like yours this year. Check out some of these results. This can be you." This vision of the future also naturally escorts us to our final step. 5. Don’t forget to close. If you have been successful in following the steps thus far, your prospect or client is in the best position they will ever be to purchase from you or take the next step in their journey of working with you. A consultation should always end in an invitation to a next step. If you are wanting them to purchase something, this is when you close as if the consultation had been a sales pitch. If you are wanting them to take some other form of next step, directly invite them to do so. This close shouldn’t happen until the last 15% of your consultation time. 85% of your time should be devoted to asking good questions, listening to the answers, demonstrating your value, and painting a picture of the future. If you are offering a 30 minute consultation, you have the last 5 minutes to close. If you are offering an hour, you have the last 10 minutes. Don’t over-complicate your close. It’s really as simple as an invitation. We hope you’ve found this explanation helpful and that you feel more knowledgeable than ever about how to attend or offer a consult. If you are a professional, businesses owner, or aspiring entrepreneur interested in building your own consulting business, click the button below to lean how our students get 30+ clients month after month, completely on autopilot.